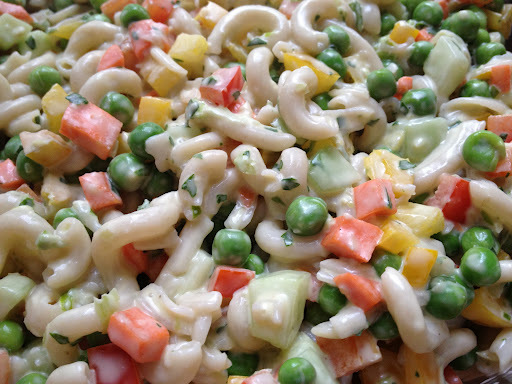 A great salad for a pot luck or a party. The peas add a ton of protein and the color of the peppers and carrots brighten up the whole salad. Cook the pasta. Add the peas at the very end to defrost them. Run everything under cold water to stop the cooking. Set aside. Cut all of the vegetables into a very small dice. Place the dressing ingredients into the food processor and process it until combined. 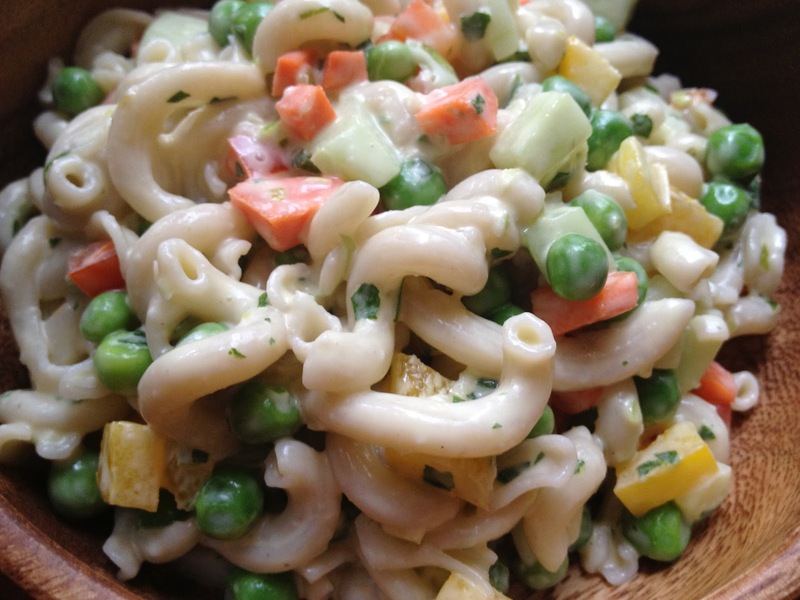 Combine the pasta and peas with the vegetables. Pour the dressing over the top and mix gently with a wooden spoon. Enjoy!